The National Research Council’s Canada Institute for Scientific and Technical Information (NRC-CISTI), as Canada’s national science library, has launched a research data registration service that will help the research community address a long-standing challenge to make valuable research data easier to find so they can be leveraged and exploited for other research purposes. 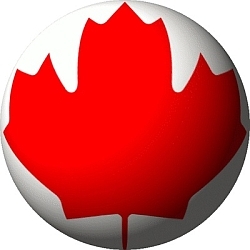 NRC-CISTI has established DataCite Canada to serve as a central research dataset registration service that will enable Canadian data centres to register research datasets and assign digital object identifiers (DOIs) to them. As the name suggests, DataCite Canada is a member of the DataCite Consortium. DataCite is part of the International DOI Foundation (IDF). DataCite Canada enables organizations and libraries to register their data and assign persistent identifiers (PIs) to them. These persistent identifiers provide long-term links to data and allow published articles to link to their underlying research data. The DOIs registered by DataCite Canada help data producers to take control of their data, to share and get credit for them. In addition, they make research data easier to access, reuse and verify. Thereby making it easier to build on previous work, conduct new research and avoid duplicating already existing work. The DOI registration services will be offered to Canadian not-for-profit organizations and government departments in the first instance at no charge. In March 2015 it is intended to re-evaluated this policy.